When Katie meets the Loch Ness Monster in Scotland, fun and adventure soon folllow! Nessie shows Katie how beautiful and stunning the country is as they take in the sights, from the Highlands to the Edinburgh Festival. They visit The National Gallery of Scotland and Scottish National Portrait Gallery, Loch Ness, Glasgow's Kelvingrove Park and Museum, Edinburgh Castle, Holyrood, The Royal Mile, and Greyfriar's Bobby. 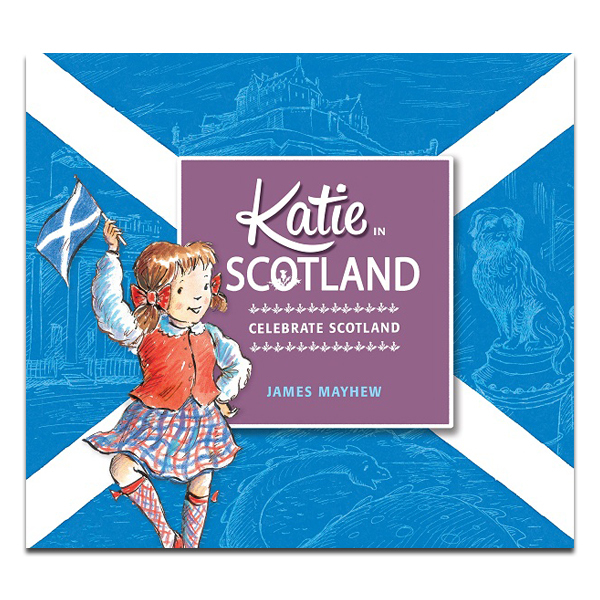 Author James Mayhew says about his book: "Katie in Scotland is a celebration of the things I love about Scotland, with Katie, her brother Jack and - for once - even Grandma having the holiday of a lifetime when Scotland's most elusive citizen reveals herself and joins them on their travels."